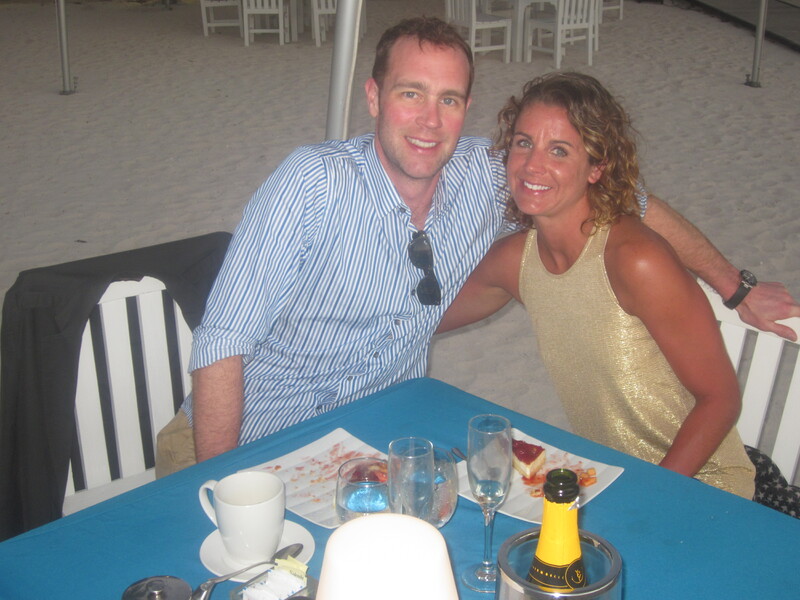 The resort treated us to a lovely beach side honeymoon dinner. Yesterday morning I was lounging on a sunny 85º beach and this morning I woke up to a chilly º2 Chicago. I am not complaining; a tad sad about the changes but it is also really nice to be back home. 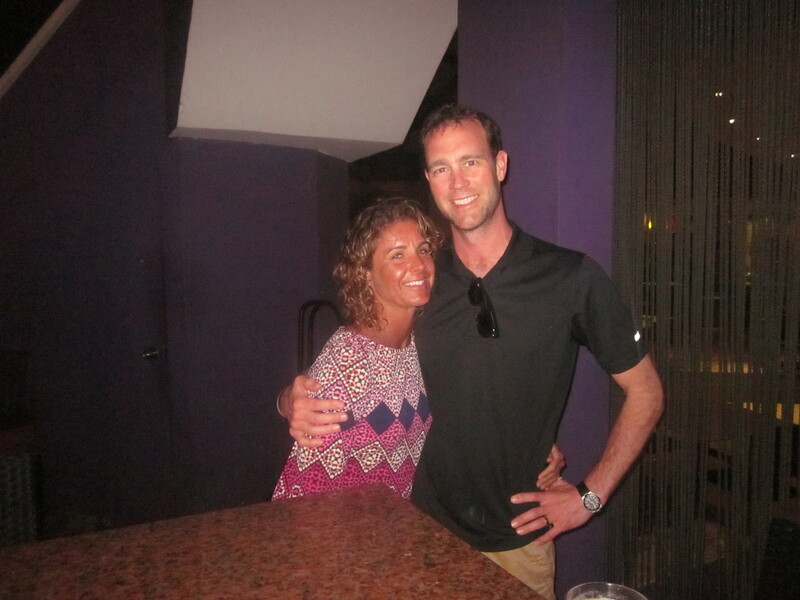 We had a lovely vacation to Aruba. It is a beautiful island and very safe. We had such a nice time taking daily runs (often even going for a second early evening run) to explore new places on the island. This was a lovely change for us as we had vacationed a few years ago on another island where we couldn’t even leave our resort. The people were friendly and the food was delicious. Waking up everyone morning right on the beach was certainly a bonus too! Once the bags were unpacked and I finally settled in, it was time to get back to the real world. There is a huge pile of clothes ready to be washed and a weeks worth of dust is ready for my attention. Then there is the reality of my lifestyle for the past week. Gone are the mornings and afternoons of endless buffets of food. Honestly this is a good thing because every meal I would promise myself that I wouldn’t go too crazy, but I definitely over indulged each time. Who wouldn’t?! There were delicious multiple course dinners and drinks while being entertained at nightly shows. Dessert was always right there for the taking. One of the best meals my husband and I had was at the recommendation of a local taxi cab driver. 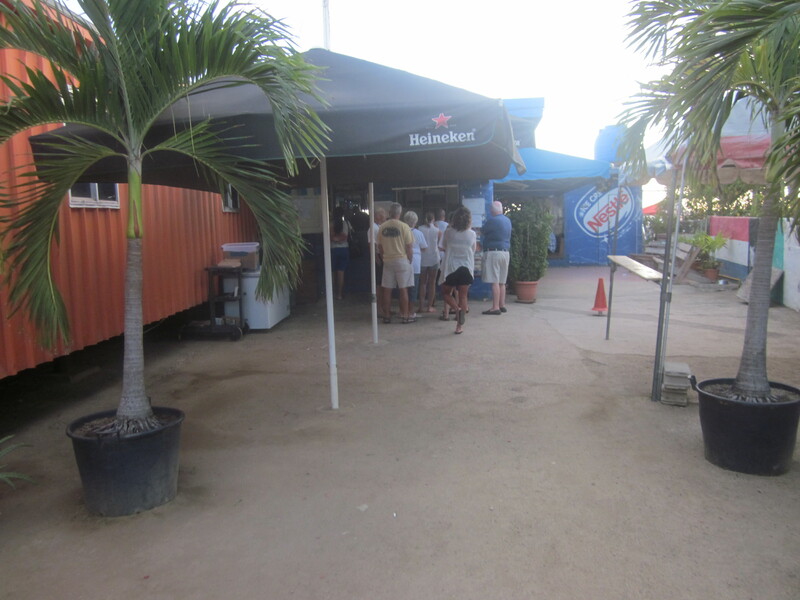 He told us about a restaurant that is a favorite among the locals called Zeerover, which translates to “Sea Pirate.” We arrived at this unassuming building and got in line at the front. When it was our turn we were greeted by coolers full of the fresh fish just brought in. We chose some Mahi Mahi and shrimp accompanied by the local fixings of plantains and fried onions. 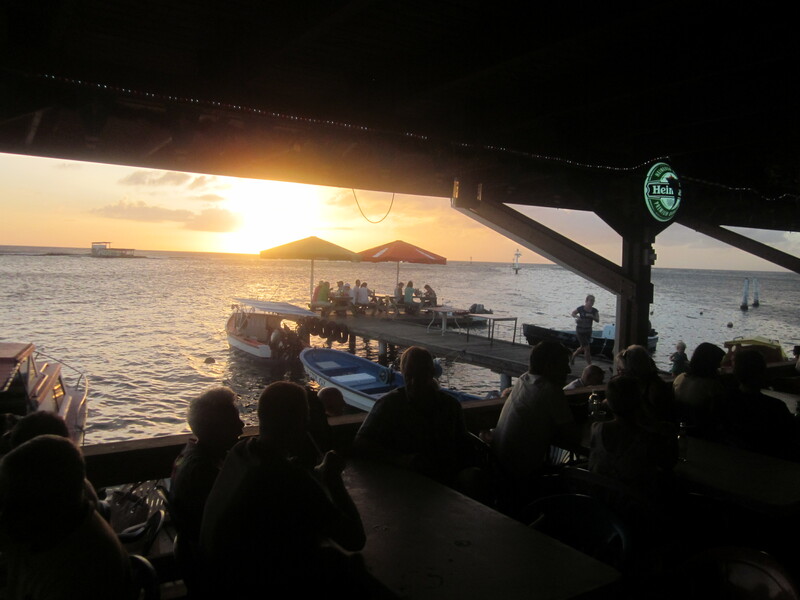 We sat at a picnic table beside the beach and enjoyed a beautiful sunset while we waited for our meal. It was lightly fried and absolutely delicious. We ended our evening drinking a Presidente while chatting with a local man who introduced us to some families from Michigan who have retired to the area. Together we watched fisherman come in and clean their catches for the next wave of diners. I always recommend that wherever you go, chat with the locals and find out where they like to dine. Chances are they will steer you away from the tourist haunts and you will end up somewhere really fun. Some of our best memoires came from our evening at Zeerover. This morning, waking up to the cold temperatures and walking into the kitchen to pour my own coffee I realized there is no longer a breakfast buffet. This is a bit of a relief. It was a wonderfully indulgent vacation but it is time to get back to reality and rein it all back in. I am actually looking forward to getting back into my routine and even those frigid walks around snowy Chicago. It will be nice to get back in the kitchen to make my own meals again, getting my daily workouts in, and even replying to all those e-mails I neglected for a week! And I am most looking forward to getting back into my routine of posting on here. ← Who Is On Your Running Team? It sounds like you had a wonderful trip. 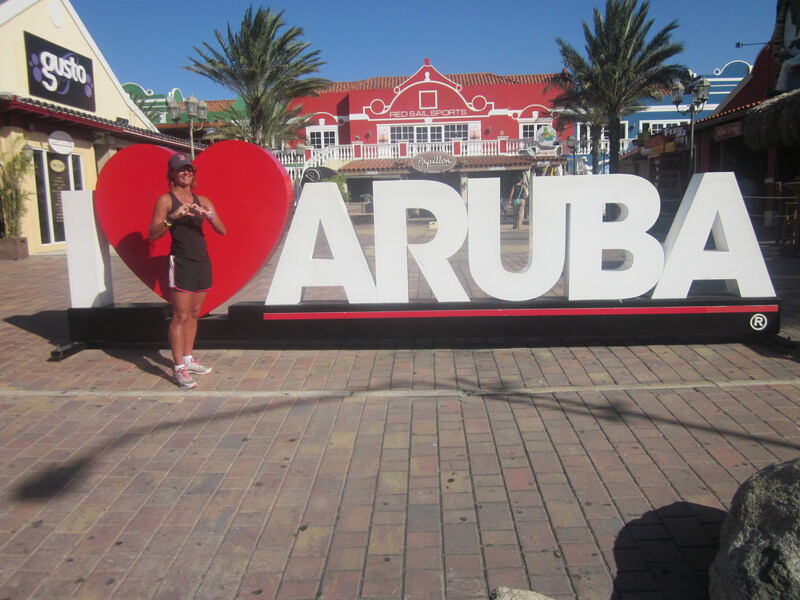 I would love to travel to Aruba, and to run while on vacation (and feel safe doing so)! Glad you had fun! 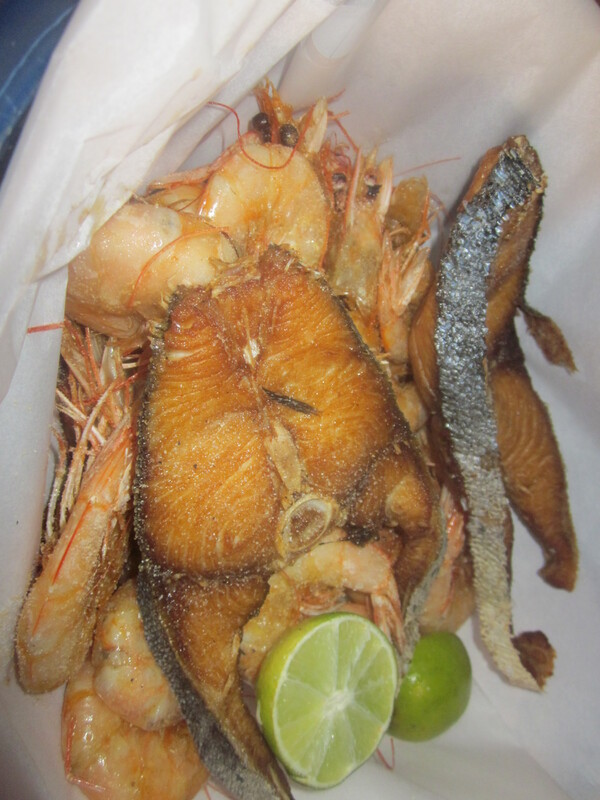 Nothing like fresh seafood! You 2 look great and I’m glad you had fun! Thank you so much. It was a dream come true!